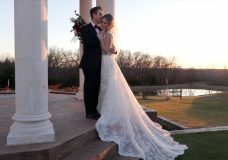 Katrina and Colten got married at the beautiful Dallas Arboretum and Botanical Gardens. We love the Arboretum’s manicured lawns and pretty flowers. It makes such a gorgeous natural backdrop for a wedding. Katrina and Colten have such fun personalities and getting to know them was a pleasure. The vows they wrote to each other were full of fun quirky statements that made us laugh. At the reception, their families were on the dance floor (especially Katrina’s!) until the very end. 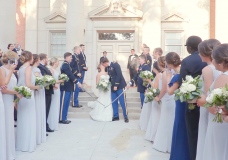 This was such a fun wedding to film, and we are so glad they picked us to capture it!